Pumpkins are grown commercially as well as for recreational purposes. You can turn them into pies, cakes, and gravy or carve them into Jack-o’-lanterns. 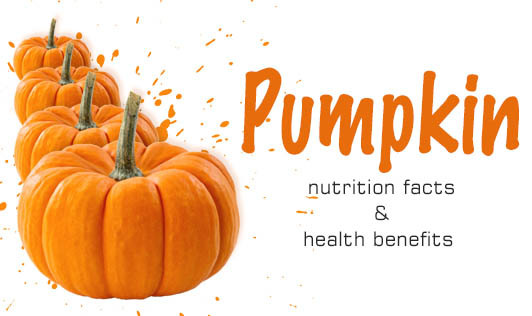 Pumpkin has a good nutritional profile with an array of health benefits to offer. Moreover, it is safe for infants too. Pumpkin puree is famous for its rich nutritional content and it is considered as a very good food for infants. Pumpkin is comprised of vitamins A, B6, C, and E , folate, copper, niacin, calcium, potassium , zinc, and phosphorus making it a vegetable with a very high nutritive value. Boosts Vision: Pumpkin contains almost twice the amount of recommended intake of vitamin A required for the body. It promotes good vision, especially in dim light. It also helps to prevent retinal infections. Vitamin A helps in the formation and maintenance of healthy skin, bones, and teeth. Lowers Blood Pressure: Pumpkin oil contains phytoestrogens that help in preventing hypertension. It also aids in reducing both systolic and diastolic blood pressure. This is recommended for people with high blood pressure. Better Sleep: Pumpkin seeds are rich in amino acids which are responsible for helping the body relax and unwind. They also promote better sleep and are known to improve mood. Imparts a Feeling of Fullness: Pumpkin seeds contain about 1.7g of dietary fiber per ounce, while mashed pumpkin has 50 calories per cup and 3g of fiber, which will always make one feel fuller. Pumpkin purees and mashed pumpkins are commercially available in India and pumpkin finds usage in a variety of recipes. In fact, pumpkin puree can be used as a low-calorie healthy substitute for making creamy bases for a variety of dishes. So go on now, grab some pumpkin and start cooking!